Asia Pacific Superyachts Indonesia has been very active in canvassing government agencies to bring more private yachts into Indonesia by changing and implementing better policies for arriving yachts, according to APS Indonesia Director Richard Lofthouse. “And we are actively working with the government and tourism agencies in changing some of their policies, such as CAIT, to attract more private yachts to its shores”, continued Richard: “CAIT (Clearance Approval for Indonesia Territory) is a necessary procedure. To be honest, Indonesia has never been easy. 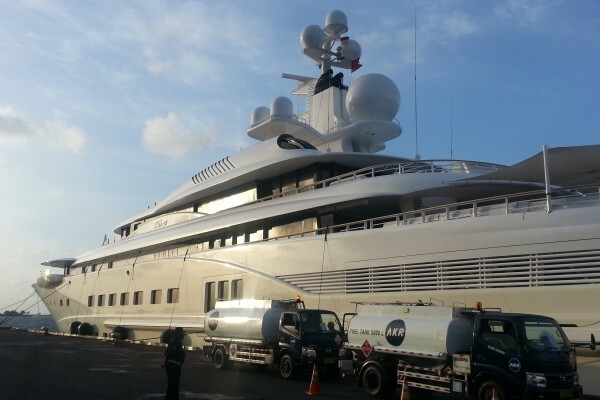 When we started APS Indonesia in 2008 it was almost impossible for big yachts to cruise successfully. But as time has gone by we have worked out how to function effectively within the system, because the system has actually not changed a lot. We have just adapted, pioneered and streamlined operations." “Due to their unequaled history of bringing over 300 yachts into Indonesia, APS has taken on an advisory role with the Indonesian Government to assist in the decision-making process”, continued Richard. "Some of my team have been with us for years and are really the most knowledgeable people in Indonesia when it comes to the reality of bringing yachts into Indonesia. We sincerely support the government initiative to bring more yachts into the country with better policies. But these policies have to be realistic. Indonesia is unlike any other country on earth geographically and thus, it is not a simple process”, Richard explains. If you wish to receive press releases by Asia Pacific Superyachts please send email to Linda at pr-comm@asia-pacific-superyachts.com to be added to our distribution list.